King Plastics features two different versions of our “Special Use” 110 oz. 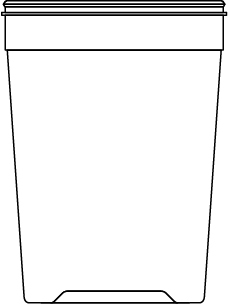 capacity containers; one that is used with a “603” model lid, and one that is used with a “604” model lid. We manufacture flat lids for both models, and we also offer a unique “KP” extra tight fitting lid for the “603” model, designed specifically to maintain a secure and reliable seal for specialized products. LT 603110 - 110 oz. 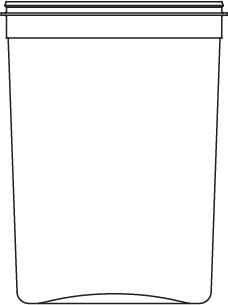 ETI 604110 - 110 oz.